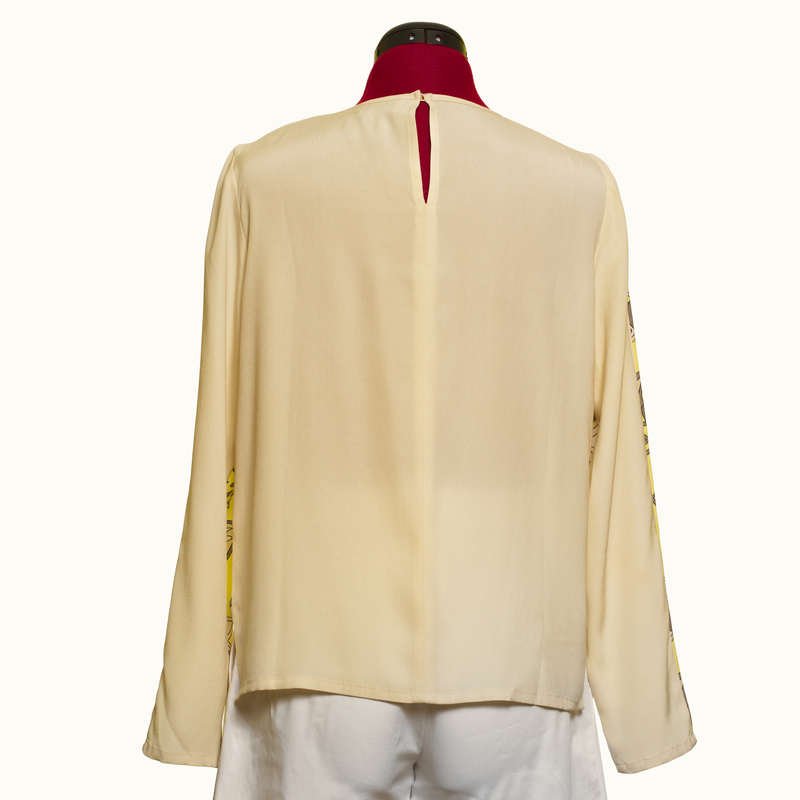 Let your style be simply amazing with this blouse. 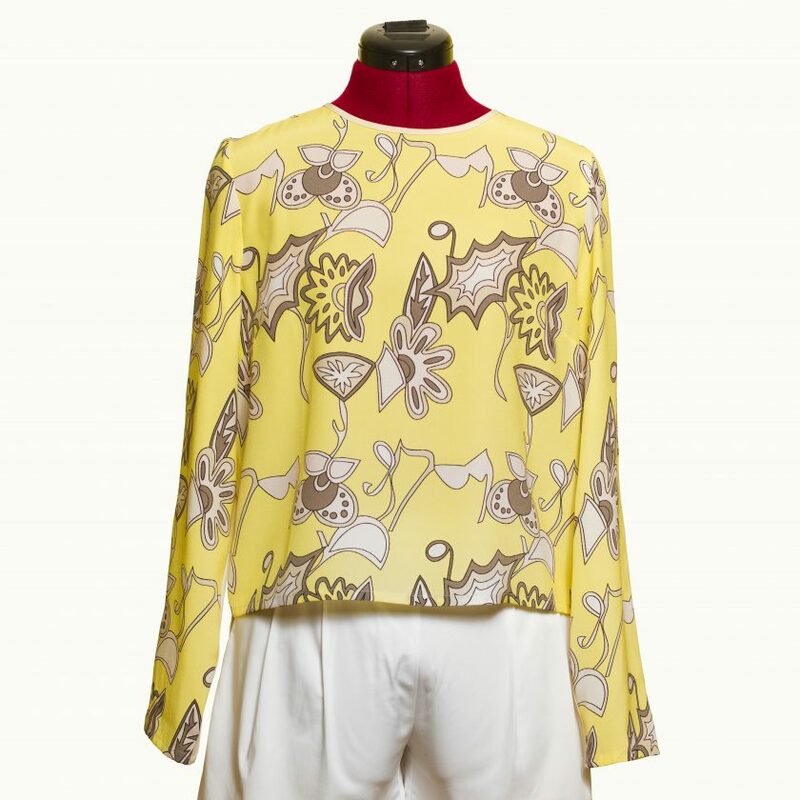 Featuring long sleeves, an elegant and delicate floral print on a white or yellow background, this blouse is slightly shorter in the front than in the back promoting a very flattering look. The BAROQUE ANIMATO print is an original and exclusive design by Alba LAZARÍ. Back opening with a button, long sleeves.